It is a subject that has frustrated mainstream biographers and those who study conspiracies: the status, root and depth of the relationship between arguably the two most influential, if not wealthiest families the Western world has known – one rooted in Europe and the other in the United States of America: the Rothschilds and the Rockefellers. When I picked up my copy of the May 30, 2012 Financial Times and saw the cover headline, ‘Rockefellers and Rothschilds Unite,’ that subject came to mind. As one who has pursued this subject since 1992, inspired after watching the Honorable Minister Louis Farrakhan’s classic ‘Shock of the Hour’ tape while a college student, the relationship of these two families in particular to me, represents the area – along with a study of the Dupont family, the Vatican and Ancient Arabic Order of the Nobles of the Mystic Shrine – in light of the Teachings of the Honorable Elijah Muhammad, which explains the manner in which politics, science, commerce, religion, and education are used to both effectively govern and thoroughly deceive the masses. Without a grasp of the details of Rockefeller-Rothschild influence in academia, religion, science, business, art, culture and politics one simply cannot appreciate the ultimate benefit of the 5 percent, 10 percent and 85 percent Concept Authored by Master Fard Muhammad. 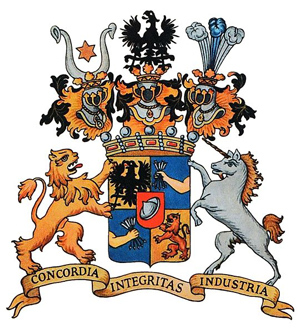 The extent of the Rothschild-Rockefeller relationship has been shrouded in ignorance, mystery, obfuscation and confusion displaying both the intellectual cowardice of esteemed academic researchers and biographers and the imbalanced ideology of those who conclude conspiracy without a presentation of actual facts and proper interpretations. Those who believe the root of the Rothschild-Rockefeller relationship has already been proven usually point to two historical events and circumstances. First is the Rothschild ownership interest in the National City Bank of Cleveland – an institution that did business with the Rockefeller family. The Rothschild ownership was proven to exist by the United States Congress in 1976. 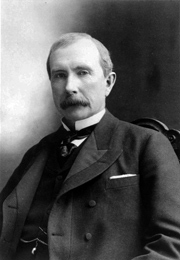 The second piece of information pointed to is Rockefeller and Rothschild influence in the drafting of the Federal Reserve Act of 1913 and the ownership of the 5 New York City banks which held the most significant share of the stock of the Federal Reserve Bank of New York: National City Bank, National Bank of Commerce, First National Bank, Chase National Bank and Hanover National Bank. To the best of my knowledge the research challenge on the first issue is that although the Rothschild ownership of a Rockfeller-affiliated bank in Cleveland, Ohio was established in the 20th century, that form of evidence has yet to be convincingly produced proving that the same exists in the 19th century. The second research challenge is that the notarized original stock certificate of the Federal Reserve Bank of New York has not been officially released to the public. I believe that researchers have already found evidence of Rothschild-financial banking of 19th century Ohio-area banks essential to the Rockefeller family’s rise in the oil and railroad industries. On the second matter, I personally have seen what I believe is a copy of the notarized copy of the Federal Reserve Bank of New York. I first saw it in 1994. I gave a copy of it to one person in May of 1995. But the best way to prove the reality of the ownership of the Federal Reserve Bank of New York is to review the original stock certificate of it which by law has to be on file with the Comptroller of the Currency. Though omitted from the U.S. Code today that provision is still part of the original Federal Reserve Act, not amended and can be read in ‘Section 4. Federal Reserve Banks’ publicly available on the Federal Reserve Board of Governors website. As I wrote in “An Issue To Unite The Tea Party, Occupy Wall Street and The Righteous?” , the 12 district Banks of the Federal Reserve are not covered by the Freedom Of Information Act (FOIA) and therefore efforts to see the stock certificate from the Fed of New York can be frustrated. However, the Comptroller of the Currency is covered by FOIA (http://www.occ.gov/about/contact-us/freedom-of-information-act-requests/index-foia.html), and therefore the original stock certificate filed with it should be more easily obtained. Once ownership of the Federal Reserve is verified the Rothschild-Rockefeller relationship via the connection of Ohio banks with New York City Banks as well as direct ownership of New York City banks which had earliest control over the most powerful bank in the world will become clear and more effective research into the roots of their respective wealth pools will advance. Publications like the Financial Times will never tell the full story but they can be made to partially bear witness to truth after the fact as evidenced by their June 27, 2009 article, “Rothschild and Freshfields Founders Had Links to Slavery, papers reveal.” (http://www.ft.com/intl/cms/s/0/7c0f5014-628c-11de-b1c9-00144feabdc0.html#axzz1wMOQMJzs) and (http://blip.tv/antioligarch/rothschild-and-freshfields-founders-linked-to-slavery-2332016) , Rothschild apologists ranging from Rothschild family biographer historian Niall Ferguson and the Anti-Defamation League (ADL) claimed to have never before seen such evidence (in the case of the former) or outright claimed allegations that the Rothschilds were connected to slavery to be an act of anti-Semitism (in the case of the latter). While Ferguson subsequently publicly acknowledged it, the ADL has never admitted the truth after the irrefutable evidence was produced by the Financial Times. The most meticulously documented presentation of the Rothschild connection to the trans-Atlantic slave trade can be found in Volume 2 of The Secret Relationship Between Blacks and Jews. I proudly represented the scholarship of that book – and its connection to the Rothschild family—in an interview with Dr. Jared Ball on WPFW-FM in Washington, D.C. in March of 2011.